By Sadiq Umar – The Supreme Court has dismissed the suit by the All Progressives Congress (APC) challenging a court verdict which nullifies the party’s primaries for candidates for the general elections. A High Court in Port Harcourt, Rivers State, had nullified the party primaries following the suit by APC faction led by River Senator, Magnus Abe. The APC in Rivers is divided between Mr. Abe led faction and those loyal to the Minister of Transportation, Rotimi Amaechi. In the suit, Abe’s faction sought and obtained a judgement that annulled the congresses and primaries conducted by the Amaechi faction. 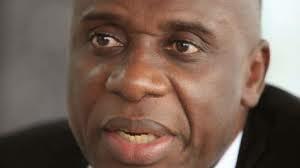 The Amaechi faction had appealed the verdict of the High Court, calling for it to be upturned. The ruling has sealed the chances of APC fielding governorship candidate in the March 2 election.